Bailey Metal Products D200 Metal L Drywall Trim 1/2 inch x 10 ft. This drywall trim provides a neat finish and solid protection to the gypsum wallboard at window and door jambs where wood trim is omitted. Holes in the flange provide a "key" for the joint cement. 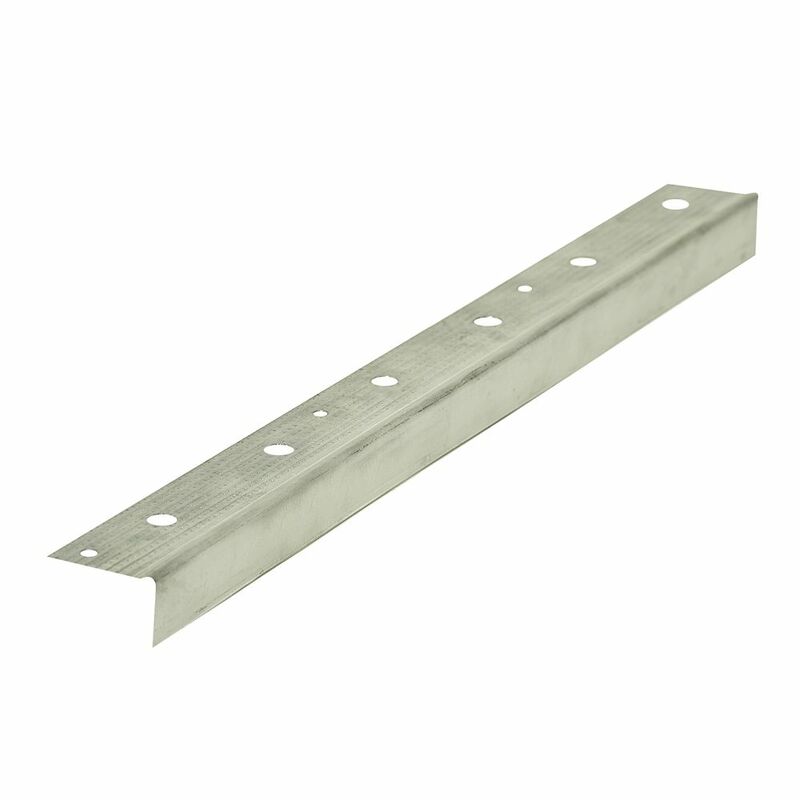 A very versatile 1.25" x 1.5" angle, bent at 90 Degrees; used to connect, reinforce or secure framing in various drywall applications. Some of the most common applications include: column framing, bulkheads, soffit framing and floor and ceiling runner. D200 Metal L Drywall Trim 1/2 inch x 10 ft. This drywall trim provides a neat finish and solid protection to the gypsum wallboard at window and door jambs where wood trim is omitted. Holes in the flange provide a "key" for the joint cement.